Natchitoches, pronounced Nack-a-tish, is a small university town located in northwest Louisiana. I stumbled on Natchitoches, Louisiana during my recent tour around the state and have fallen a bit in love. Seriously, I don’t know why I haven’t been to Natchitoches yet. The only downside was that I only spent 5 hot seconds visiting and didn’t get to see nearly enough. I’m looking forward to coming back and exploring, at a minimum, these 5 unique downtown attractions in more depth. TheNatchitoches, Louisiana Historic Landmark was designated in 1974 with a 33-­‐city block area within its borders, and designated as a National Historic Landmark in 1984. The buildings are over a century old. 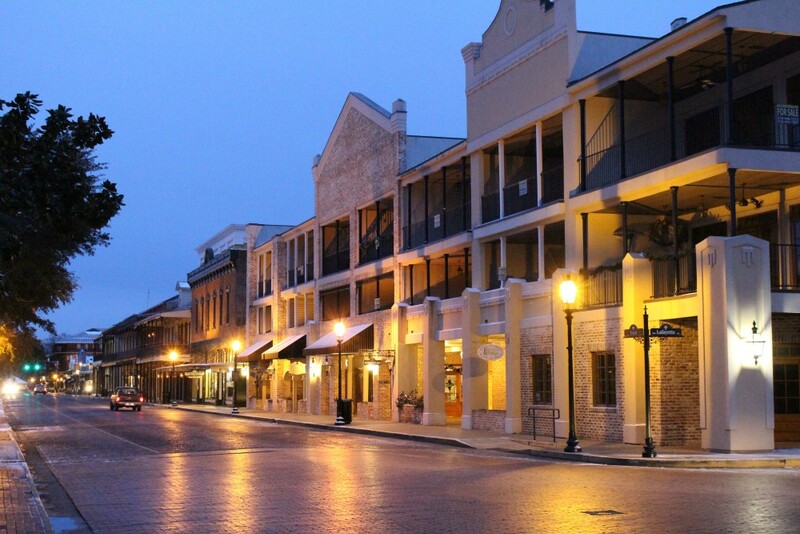 The homes and businesses were built in Queen Anne, Italianate, Spanish Revival, Federal, Art Deco, Victoria and most notably French Creole architectural styles. Front Street in the district is still paved with cobblestone and the store facades have wrought iron decor lending the district an old world feel. 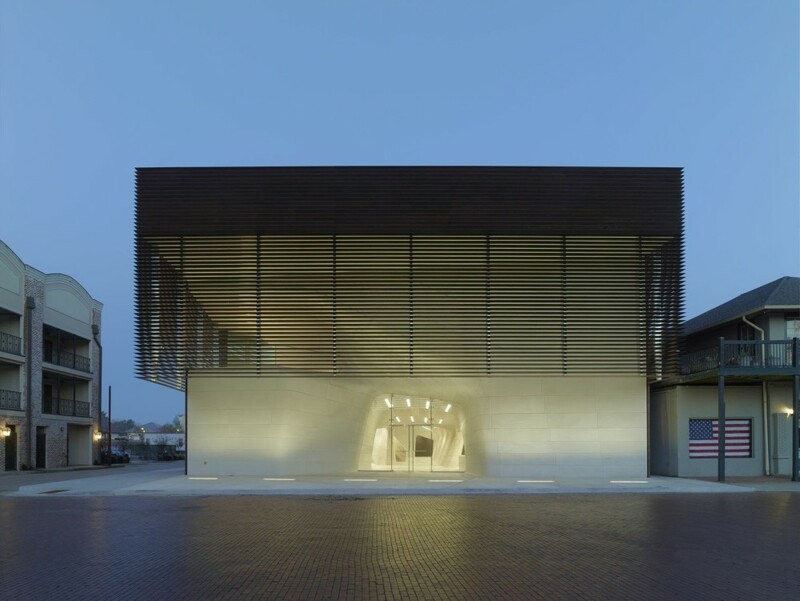 See just what it was about Louisiana’s legendary athletes, coaches and other sports figures that brought crowds to their feet in the Sports Hall of Fame section of this dazzling $23 million, a 27,500-­‐square-­‐foot museum complex in historic downtownNatchitoches, Louisiana. Then explore the evolution of unique cultural traditions from early Native American civilizations to the present in the Northwest Louisiana History Museum. The museum is recognized for its technological innovations and promises visitors an opportunity to hear these great stories in a manner that no other museum in the country is doing. 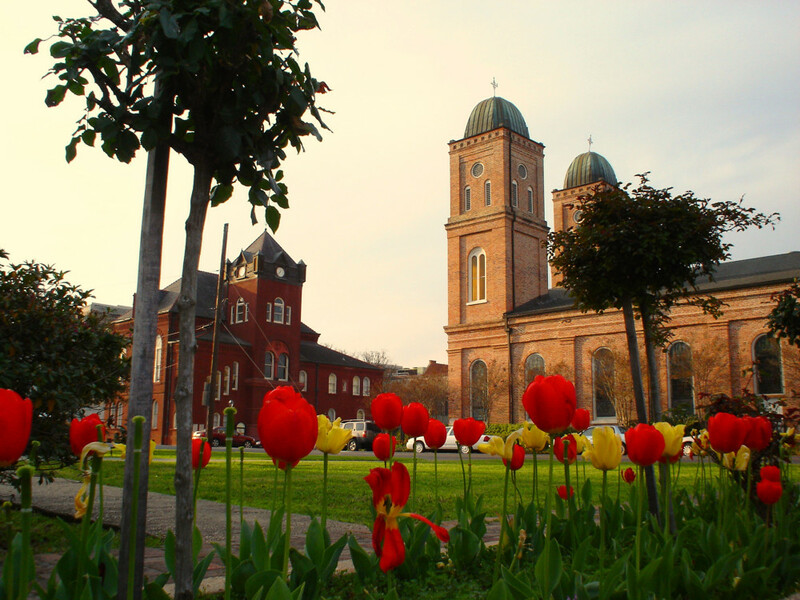 A Minor Basilica is a Church of historical and architectural value that has “particular importance for the liturgical and pastoral life” of some place. In essence, it is the Pope’s Church in some place around the world. The Church was established in 1728 and consecrated as a cathedral 1854. Many of the fixtures inside the church were imported from European Christendom. French and German arts are evident in the hand-­‐painted Stations of the Cross and the magnificent stained glass. On January 10, 2010, the church was dedicated a Minor Basilica, the second to be named in Louisiana. 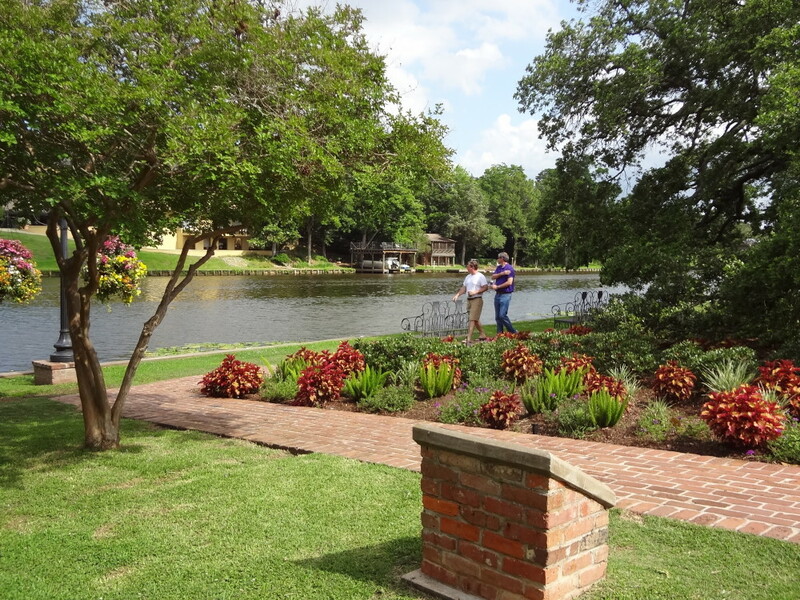 Beau Jardin is the City of Natchitoches’ newly constructed water feature and garden area on the downtown riverbank, located within theNatchitoches, Louisiana Landmark Historic District. Beau Jardin is the perfect venue for a picnic, sightseeing, or just a place to stretch and enjoy the view. Natchitoches, Louisiana is the ideal place for a quiet getaway weekend and is definitely going back on my travel list for a future visit. Glad you were able to visit. I love home! My birthplace in 1940. My grandmother graduated from the NSU ( LA Normal College) in 1900 & my mother in 1932. My sister went there through her junior year. I love & am proud to be from Natchitoches. It’s a great place to visit! Even though I was born and raised there, I really enjoy going back and meeting up with childhood friends over a weekend while we stay at a Bed & Breakfast. There’s a large number to choose from and are in walking distance to the locations featured in this fabulous article. It’s impossible not to fall in love with Natchitoches. I write for Metro Leader, a community paper with editions in 5 communities throughout Louisiana and Texas and get down there about once/month. When you come back, consider staying in one of their bed and breakfasts. There are lots of very cool places, many of them in old plantation-style homes. In particular, consider the Steel Magnolias home, where much of the movie was filmed. Also, those buildings that are more than 100 years old? Several of them are closer to 300 years old. Go into the Natchitoches Art Guild Gallery and ask them to show off their building. In places, you can still see the fingerprints of the Frenchmen who made the bricks back in the 18th century. If you like Native American-related attractions, the Adai Caddo Museum in nearby Robeline is worth a trip, too. 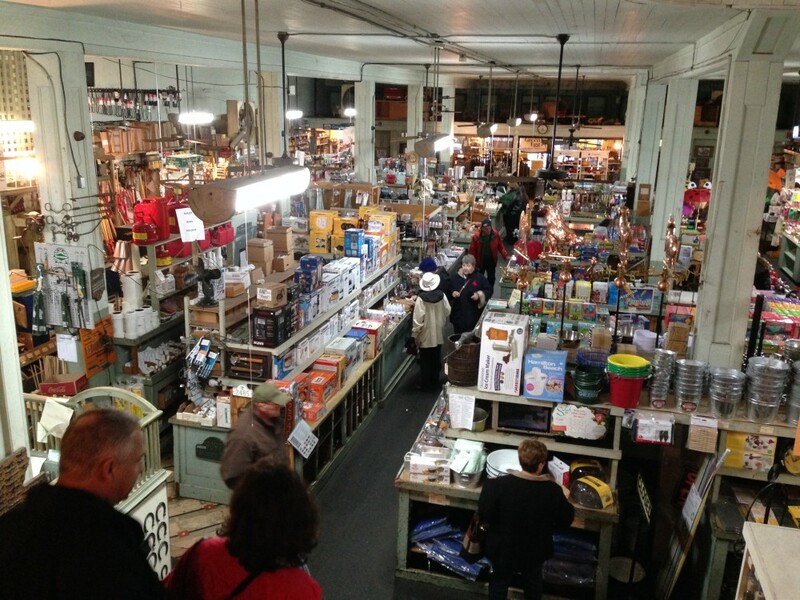 One additional note: If you don’t mind crowds, consider visiting during the Festival of Lights around Christmastime. It’s kind of the big deal of the year in Natchitoches. Myself, I prefer the town when it’s quieter, but figured it’s worth mentioning. Kim Wright’s back porch should be on this list…. :). Love Natchitoches!!!! There is a big festival on the first Saturday in December with fireworks display by the river, a floating parse if lifted displays and turning on if the Christmas lights all over town, an event featured in the movie “Steel Magnolias”. If you want a quiet preview of lighted displays along the banks of the Red River without all the crowds go the evening of Friday, the day after Thanksgiving. Scott–thanks for all the great tips. I heard that Christmas is the time to visit, but, like you, prefer quieter towns. Need to come back and see so much more. You are lucky to live so close. Merna–That is a great tip! Thank you!! Heidi–I was told that it’s the B&B capitol of Louisiana. I really want to stay at one of them. Walter–You are so lucky to be from such a beautiful town. Spicy Cajun–It’s so exciting to see so much love for Natchitoches. Y’all are really making me want to go back right now. Glad to find your blog (I found it on the Lake Charles Visitors Bureau after reading your 7 Must Try Foods of Louisiana. I’m a native Californian that’s fortunate enough to be a Louisiana resident now for the past 7 years. I live just outside of Natchitoches. Another interesting bit of history of Natchitoches is that is was established in 1714 and is the oldest permanent settlement in the Louisiana Purchase.